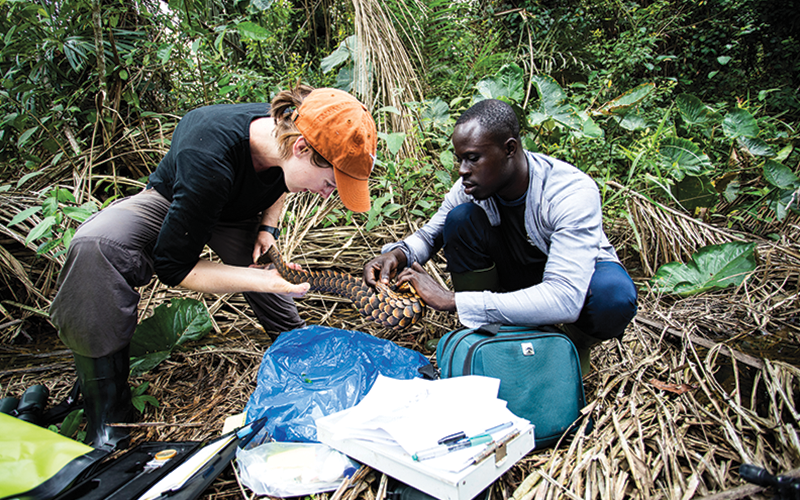 Project Mecistops is working to overcome critical deficits in our knowledge about pangolin biology and their importance to local communities to implement collaborative management with local communities in Côte d’Ivoire and throughout West Africa. Establish a more effective basis for in situ management of pangolin populations and habitat by better understanding pangolin ecology and natural history. Establish a more effective basis for ex situ pangolin management by better understanding pangolin prey nutrition and wild pangolin nutrition and health baselines. Establish a more effective basis for sustainable pangolin management through social sciences, raising awareness for pangolin and habitat conservation, and by involving local people in conservation solutions. 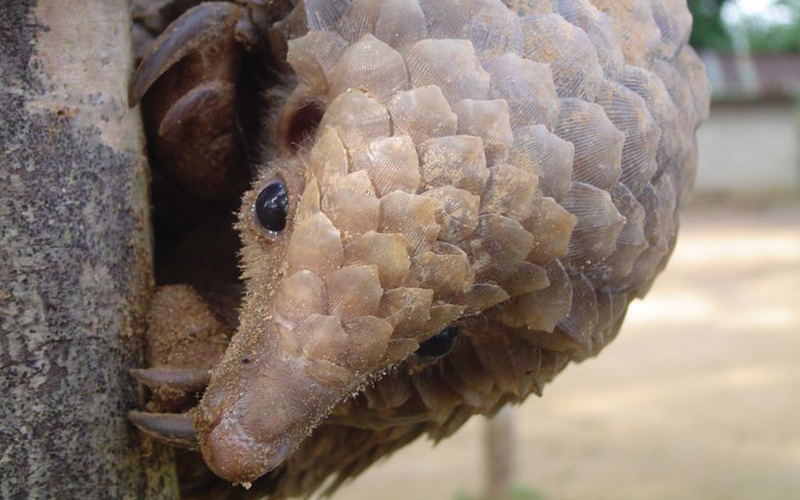 Develop a standardized conservation technology toolkit that practitioners in pangolin range states can access with limited means and deploy confidently to address both pangolin monitoring and trafficking. 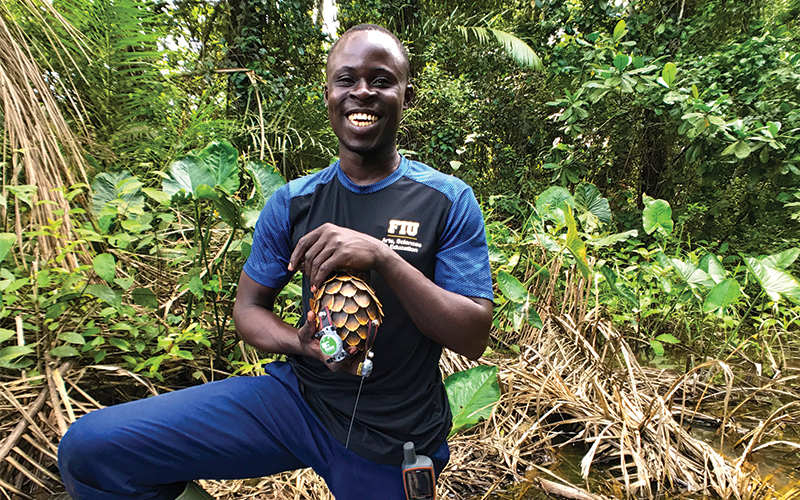 Build the individual (e.g., students, eco-guards) and institutional capacity for pangolin and biodiversity conservation in Cote d’Ivoire and throughout West Africa. Despite their importance to local communities as a protein source, their ecological role in tropical forest trophic webs, and their general charisma, pangolins are likely also the least known mammals in the world. And, though we’ve identified the domestic and international trades as the biggest threats to pangolins, the deficit in ecology and natural history research and data present significant impediments to implementing pangolin management programs, including targeting critical habitats. This is especially true for black-bellied pangolins (Phataginus tetradactyla), which are virtually never filmed in general camera-trapping studies (unlike giant pangolins), and are seemingly far less common than white-bellied pangolins (P. tricuspis). We are using VHF telemetry, environmental sensing data loggers, and camera-traps to research the environmental and anthropogenic determinants of pangolin movement, habitat use, and prey selection. 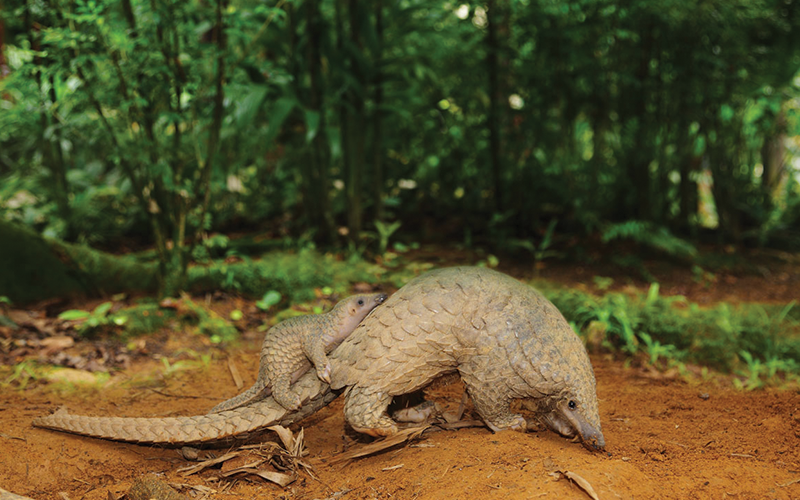 Our efforts are focused on the least studied of the worlds pangolins – black-bellied and giant. As more pangolins are being removed from the wild, increasingly law enforcement efforts result in confiscated pangolins ending up in in situ wildlife rehab and local zoo facilities throughout West Africa (and other range states). And, at least in North America, the only pangolin species in captive collections are one of the West African species – white-bellied pangolins. Despite this, we know very little about how to manage pangolins in captivity and most efforts to date have seen relatively little long-term success – though this is changing now thanks to efforts from organizations in North America’s Pangolin Consortium and Save Vietnam’s Wildlife. To best develop diets for animals in ex situ, managed care situations, we must know the nutrient composition of the natural diet and the circulating vitamin and mineral concentrations of wild animals. And, to understand the health of captive pangolins maintained on these diets, and under other captive care practices, we must have expectations for what is a healthy pangolin. Currently, no baseline range values exist for normal wild pangolin nutrition or physiology. Determining normal health parameters for wild pangolins will provide tremendous insight for ex situ management. We are coupling research on wild pangolin prey selection and nutritional value analyses of those prey items with assessments of wild pangolin health and nutrition to better manage pangolins in both wild and captive settings. 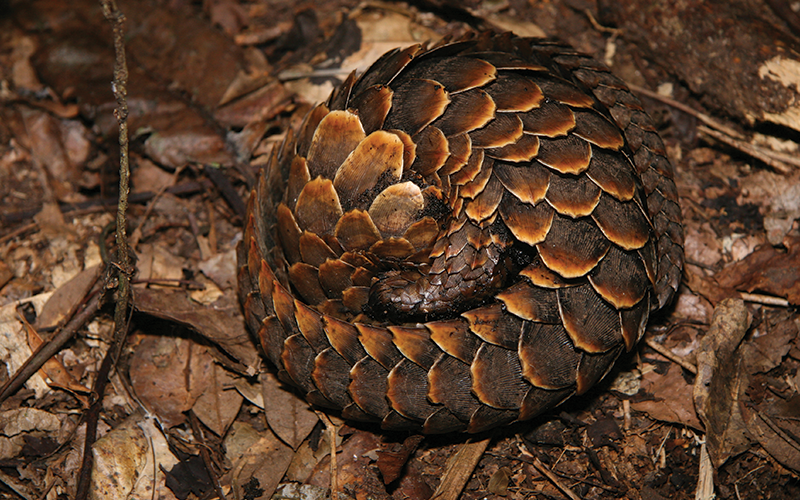 Pangolins have been exploited locally for food and traditional medicines throughout history. The three West African pangolins are historically popular bushmeat items and are consumed locally in a trade that may have been sustainable. This local consumption continues today, despite pangolins being legally protected in most range states. Pangolins are significantly more threatened today, however, by the significant illegal international trade in live pangolins, their meat and scales, primarily destined to Vietnam and China. 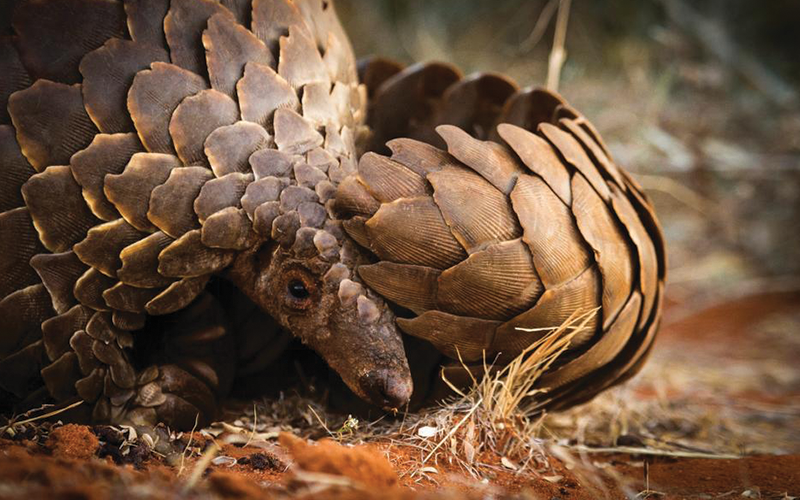 Since 2016, barely a week goes by without news of a seizure of literal metric tons of illegally traded scales being confiscated – and it is estimated that hundreds of thousands of pangolins are hunted annually. 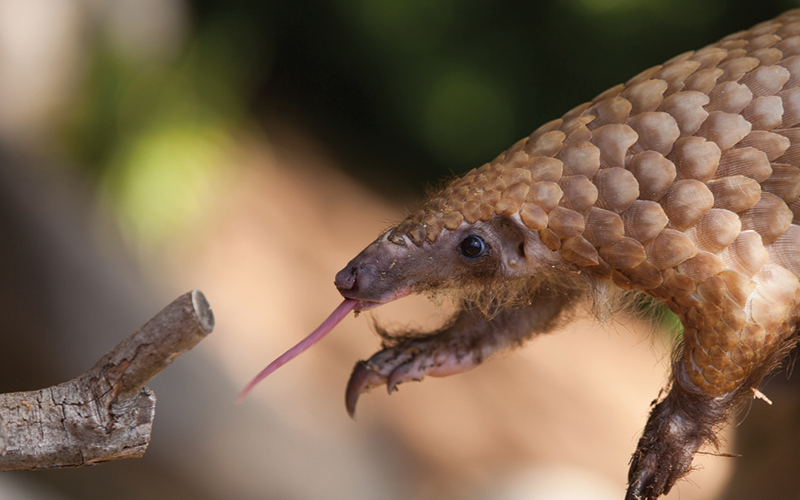 This trade is so significant, that pangolins have recently been labeled the most heavily trafficked mammals in the world and are in dire need of conservation action. Unfortunately, as Asian pangolin populations diminish, traders are increasingly looking to West and Central Africa. Since January 2017 alone, at least 6.6 tons of pangolins scales coming from Cote d’Ivoire have been seized by Ivorian or Asian authorities. 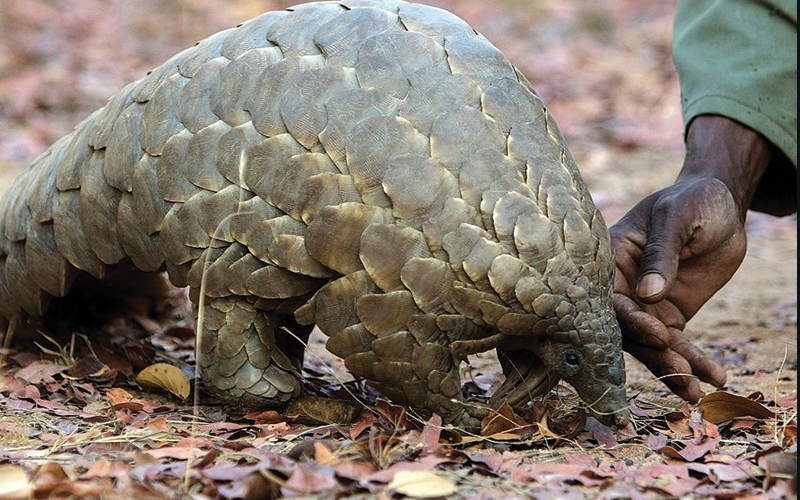 Despite the nations ever diminishing habitat, this indicates that Cote d’Ivoire is a hotspot for pangolin trafficking and there is a need for more sustainable pangolin management. We are using ethnozoological and traditional ecological knowledge survey methods to better understand the extent and drivers of local community traditional and commercial pangolin exploitation. In all our work, both biological and socioeconomic, we work closely with local pangolin hunters, agriculteurs, and other forest resource users to establish relationships with local community members. The only way forward for pangolin conservation is ultimately in collaboration with pangolin resource users. To put it mildly, pangolins are really hard to find! They are shy, cryptic, mostly nocturnal, partially arboreal, partially fossorial, and make virtually no sounds when not ripping into ant and termite mounds. In July 2018, the IUCN SSC Pangolin Specialist Group held a 3-day workshop in which world pangolin experts convened together with experts in cryptic species ecology and ecological monitoring to identify ways to overcome these issues of detectability in wild pangolin population monitoring. We determined that the answer lies in modifying existing technology and capitalizing on burgeoning technology to increase pangolin detection rates and decrease costs to pangolin conservation stakeholders. 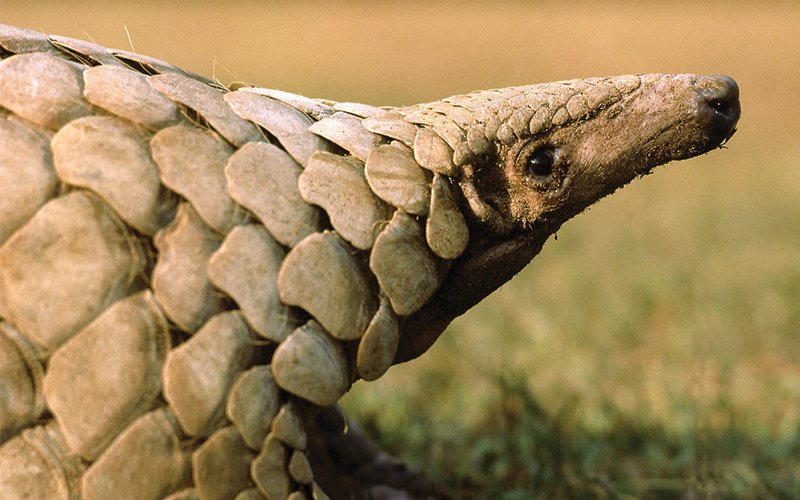 This burgeoning initiative is introducing the latest advances in hardware and software technologies from other sectors (e.g., cell phones and security) and adapting them to improve performance, automate species identification, ensure remote access to data in real-time, and reduce costs to increase accessibility for pangolin range state conservation practitioners. In particular, we are working with our partners to revolutionize three conservation technologies: camera traps, acoustic recorders, and telemetry/biologging devices. Project Mecistops and its individual and collective initiatives will only achieve absolute sustainability when well-trained local conservationists take over the management of their natural resources, including pangolins! 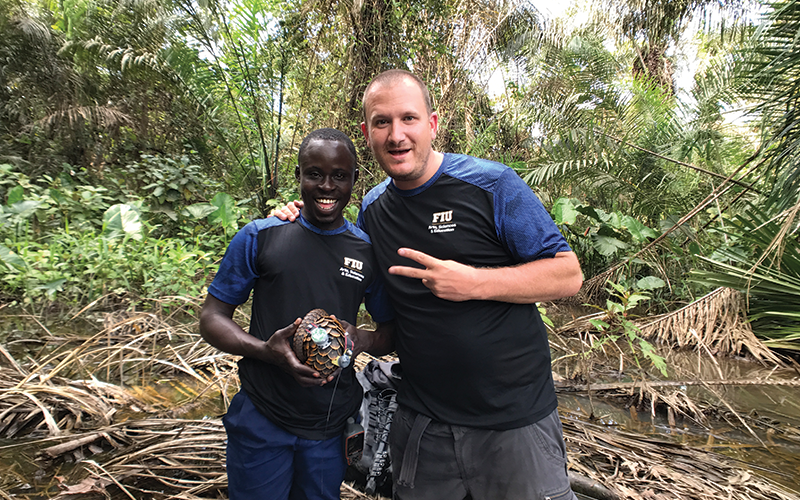 Because of this, Project Mecistops is engaged in training the future generation of scientists and conservationists in Côte d’Ivoire, Ghana, and throughout the region. Africa in general, and West Africa in particular, has a long history with management and conservation of its large mammals, especially the mega-charismatic species like elephants and chimpanzees.  Because of this, institutional structures for the protection of species exist. However, many endangered species, like pangolins, continue to suffer heavy losses simply because they aren’t yet on the national agenda. Project Mecistops is committed to supporting national institutions in the development of strategies and protocols appropriate for pangolin management and to providing the missing data about the status of pangolin populations, their ecological requirements and the threats they face. We are working to figure out the best way to monitor pangolins, and incorporate these species into existing biomonitoring programs in protected areas.